Fontainebleau is a commune in the metropolitan area of Paris, France. On the 22nd (Sun), admire nature's wide array of creatures at Le Parc des Felins and then step into the grandiose world of Chateau de Vaux-le-Vicomte. 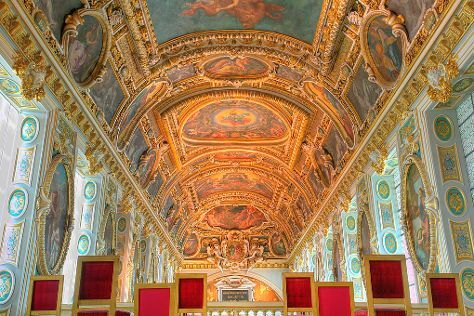 On the 23rd (Mon), you'll have a packed day of sightseeing: step into the grandiose world of Chateau de Fontainebleau and then take a peaceful walk through Fontainebleau Forest (Foret de Fontainebleau). For more things to do, maps, ratings, and more tourist information, read Fontainebleau tour itinerary planner . If you are flying in from Brazil, the closest major airports are Paris-Orly Airport, Charles de Gaulle International Airport and Paris Beauvais Tillé Airport. In September, plan for daily highs up to 24°C, and evening lows to 12°C. Wrap up your sightseeing on the 24th (Tue) to allow time to travel to Luxembourg City. While Luxembourg City boasts the shiny headquarters of several European institutions and EU offices, it is also home to a beautiful old town that's designated as a World Heritage Site. Museum-lovers will appreciate MNHM National Museum of Military History and Am Tunnel (BCEE Batiment Rousegaertchen). 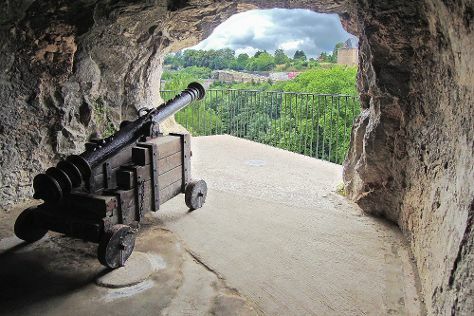 Casemates du Bock and Le Chemin de la Corniche are good opportunities to explore the local culture. Venture out of the city with trips to Beaufort Castles (in Beaufort), Bourscheid Castle (in Bourscheid) and Chateau de Vianden (in Vianden). There's lots more to do: take a stroll around Centre Culturel de Rencontre Abbaye de Neumunster, steep yourself in history at Palace of the Grand Dukes (Palais Grand-Ducal), explore the different monuments and memorials at Luxembourg American Cemetery Memorial, and take in the spiritual surroundings of Saint Michel's Church. For maps, reviews, more things to do, and more tourist information, go to the Luxembourg City visit site . Getting from Fontainebleau to Luxembourg City by car takes about 4.5 hours. Expect a daytime high around 22°C in September, and nighttime lows around 11°C. Finish your sightseeing early on the 27th (Fri) to allow enough time to travel to Frankfurt. Your day-by-day itinerary now includes Wilhelmstrasse. Start off your visit on the 28th (Sat): browse the eclectic array of goods at Kleinmarkthalle, then contemplate the long history of Cathedral of St. Bartholomew (Dom St. Bartholomaus), then admire the masterpieces at Staedel Museum, and finally wander the streets of Wilhelmstrasse. 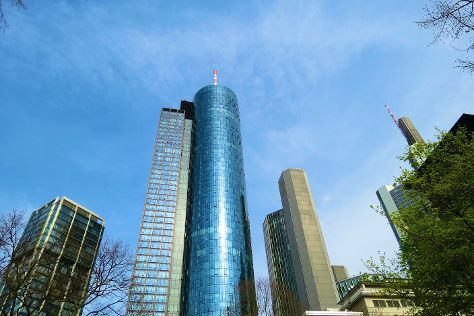 To see ratings, traveler tips, more things to do, and tourist information, go to the Frankfurt day trip planning site . You can fly from Luxembourg City to Frankfurt in 2.5 hours. Alternatively, you can drive; or take a bus. In September in Frankfurt, expect temperatures between 24°C during the day and 13°C at night. On the 29th (Sun), you'll have the morning to explore before heading back home.